Mobile Health Clinics is very pleased to announce our newest partner in the global effort to eradicate AIDS by 2030: Kheth’Impilo. Kheth’Impilo is a South African not-for-profit organisation that has been providing clinical care and treatment services, health and community systems strengthening for more than 13 years through direct programme implementation and technical assistance at all levels, to the South African Government. Kheth’Impilo is positioned as a leader in public health innovation, being one of the few organisations that have successfully integrated health, welfare and education to provide a holistic approach. The comprehensive healthcare solutions include prevention, care, treatment, and support for people infected and affected with HIV and TB supported by a range of innovative community based models of care that include community HIV testing, community based adherence support, early childhood development, school health and accredited training. Kheth’Impilo has the mission to support the South African Government in achieving its goals for the scale-up of quality services for the management of HIV/AIDS in the Primary Health Care sector as outlined in the National Strategic Plan. 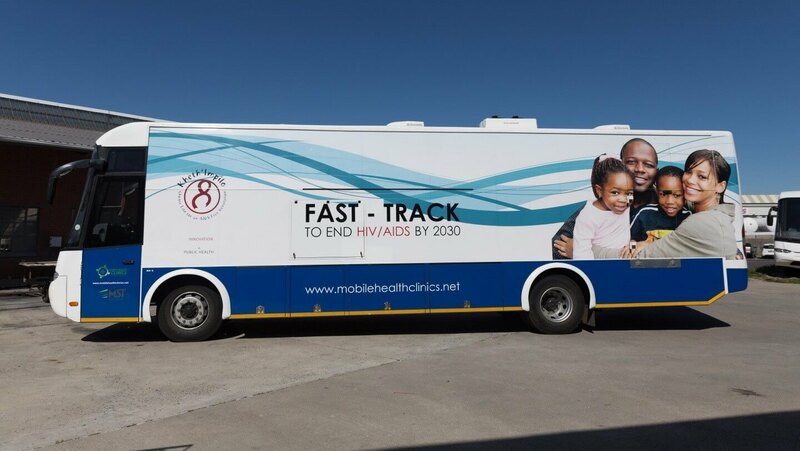 As of last week, Mobile Health Clinics has been working with this incredible organisation on their Young Women and Girls programme, which aims to reduce the HIV infection rate in the 10-24 year age bracket for this population in the OR Tambo district and Nelson Mandela Bay in the Eastern Cape. A comprehensive package of services including sexual reproductive health education and services, mobile HIV testing and counselling, peer education, academic support, parenting programmes, and child protection interventions are provided to achieve this aim. Mobile Health Clinics is helping Kheth’Impilo to reach their goal to test 9,000 young women and girls for HIV in Port Elizabeth, South Africa by the end of March 2017. With a single mobile unit, we aim to provide HIV testing to at least 2,000 people in 22 days this month. This programme is a part of a national campaign called “She Conquers”. We are excited to be one of the organisations using innovative solutions to empower young women and girls in South Africa.